But, first the scariest movie I never saw. In our little city, before there was Netflix and about a million other in-home film viewing choices there was (and is) Videoport on Middle Street. It seemed everyone who was cool, awesome and earnest in their love of films has worked there including my sister Betty. 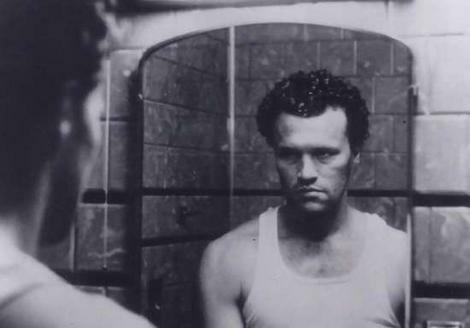 One afternoon I walked in to rent the film Henry: Portrait of a Serial Killer (1986). It was several years after its release but Siskel and Ebert had just done a thing on best scary films or something like that. You know what, I knew he was right but still I persisted and said I would fast forward through the really gruesome stuff. He responded, “You like Jim Jarmusch. Get a Jim Jarmusch film.” And, so I left with Night on Earth (1991). Thank you, Tony. You were right; I could not have handled it. 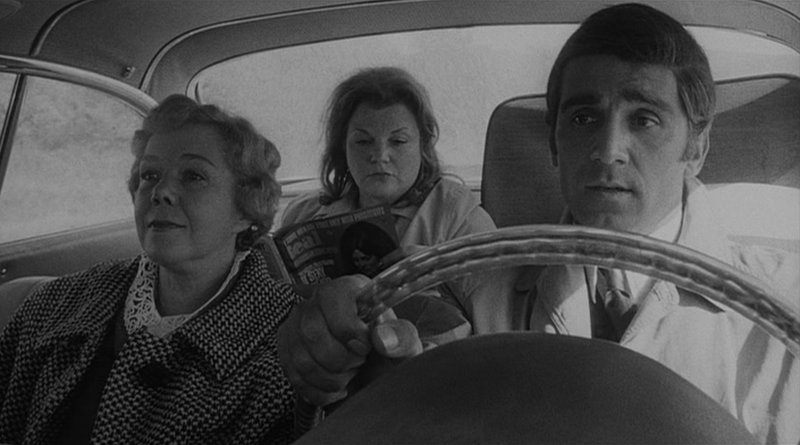 So you don’t think it’s just a low-budget thriller – François Truffaut said it was among his favorite contemporary American films. My first scariest film was In Cold Blood (1967). We had a TV in the basement of our house. The basement also housed a tool room, the furnace room and a room filled with plaster of Paris (our mother had a little in-home business making plaster molded knick knacks). I sat transfix in front of our crappy black and white TV watching a true life horror film – where two of the characters are killed in their basement – while two stories above my family slept. In Cold Blood maybe the first of the true-life home invasion films. The Clutter family is slaughtered in the middle of the night by two ex-cons in their isolated Kansas farmhouse. The film is based on Truman Capote’s novel of the same title. Richard Brooks directs and the use of black and white film also lends a disturbing documentary feel to the movie. I knew the story so I knew the Clutters have no chance of surviving. Knowing that makes the film even bleaker, more frightening. When the teenage Nancy Clutter heart-breakingly played by Brenda Currin is killed not a drop of blood is seen and it is still terrifying. And, even a thirteen-old-like-me knew the murder of the father and his son in the basement was one kind of hell on earth. Robert Blake, who went on to star in the TV series Baretta and in real life likely killed the mother of his daughter, played one of killers. One thing I know about myself is I am always more frightened by real life horror stories. I also learned a lesson that Tony Reiger had recognized in me that day I thought I wanted to rent Henry: A Portrait of a Serial Killer. You have to know your limits. We should all have a “Tony Reiger” monitoring our movie choices. Maybe then I would have never watched Natural Born Killers. OK, that would be on my list of never-ever-should-haves too! One scene in particular that is too disturbing to describe. Jeepers, I think you do. Kari – it reminds me when we watched Reservoir Dogs. New boogeymen. Guys in suits who were hip! Yikes. Yes! And the music video torture scene. I can’t listen to Stuck in the Middle With You without thinking about that. Growing up as child when I was about twelve years old I saw the movie “Frankenstein”. When he walked into the water with the little girl and when he walked out of the water carrying the dead girl in his arms. For the next three nights I could not sleep. Every night I would keep waking up because i saw the two of them in my dreams. The next time this happened was when I was living in New York city in 1973 I was about 45 years old and after standing in line for over three hours waiting to see “The Exorcist” on its second day after opening with friends; the audience in the theater was glued to their seats but sounds they were making at different intervals was enough to make the scenes stick in your head. I Kept seeing that girl in her bed twisting and turning I would wake up sweating. After re rereading your reviews the only Horror movie of the type your talking about that I saw was “In Cold Blood”. That was because the book was written by Truman Capote; and he was one of my favorite authors. I could not believe that he actually wrote the book. You had to know him….if he saw a drop of blood; he’d be of to the “John” to vomit. Is there anyone you didn’t meet in NY? Sounds like a story! I must hear it visit tomorrow. Everett! Thanks for your comments. I remembering watching The Exorcist with my mom on cable and at one point she said, Geez, should we be watching this? Captin Howdy as imaginary friend who is really the devil is sooooooooo scary.